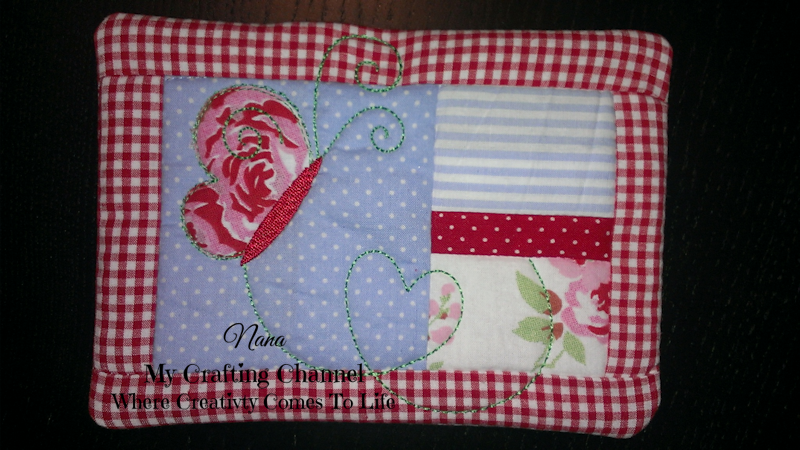 For this challenge I wanted to get back to using my embroidery machine so myself this cute INT Mug Rug. What's a Mug Rug you may be asking.... it's basically a over sized coaster. I hope to do more machine embroidery this year. Would LOVE an embroidery machine...on my ever growing wish list...LOL! That is really cool! Great job! This is beautiful!! Love the fabulous butterfly and pretty colors fabric!!! You did a awesome job, my friend!!! Adorable mug rug! Love the colors! Your mug rug is fabulous! Wow, you are so talented! I wish I could sew at times~so many fun things I could do for the grand kids but just don't have the patience! Beautiful work as always Nana! So beautiful, I just love the pretty fabric you used! The butterfly is gorgeous and the embroidery looks amazing! This is very pretty Nana!! I love the BEAUTIFUL butterfly! Very, very pretty. This has a vintage, shabby chic feel to it - just beautiful! WOW how beautiful this is ...I am drooling! !